Otology is a sub-specialty within the specialty of ENT dealing with unusual diseases of the ear. Dr. Marsh has had several years in extra training beyond regular ENT training in otology, including a professorship in Melbourne, Australia. 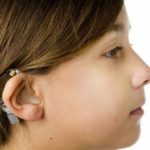 Otologists engage in the medical and surgical treatment of ear diseases including the removal of cancers invading the bone around the ear and cochlear implantation for hearing rehabilitation. On occasion, an Otologist will assist a Neurosurgeon in the removal of tumors that arise at the base of the brain and require a surgical approach through the skull base to reach the brain.